Get a price for a bespoke ceiling kit, submit your project details and we’ll do the rest. Enter the room size. If you have multiple rooms enter each size on its own line. Upload your technical (or rough) drawings with the room dimensions. Select the best match to where the ceiling will be used. This will help our team establish the best materials for your project. Please let us know of any other preferences or specification requirements you have. Enter any other preferences here, you’ll have a chance on the next page to specify lighting and insulation. We use high quality LED panels which give your office a bright modern light. We’ll work out the optimum number of lighting units your ceiling requires or choose 'other' from the drop down menu below to specify your own requirements. Please specify your lighting requirements below. 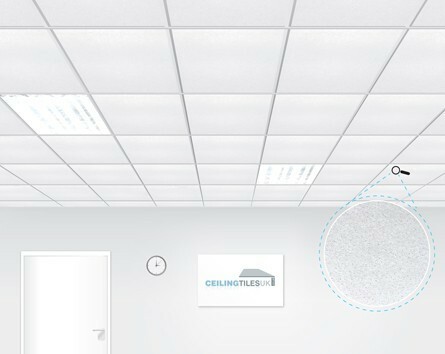 Improve the sound absorption and energy efficiency of the ceiling. We’ll work out the optimum volume of insulating material your ceiling will require. This will help us fix your price for a period of time, as well as check local stocks on required products. If you need to specify anything else about your project that you have not already told us, please enter it below. To design your suspended ceiling, simply follow the quick steps above. Once completed, our sales team will provide a quick price. Should you wish to proceed, we will produce a bespoke ceiling design plan, along with fitting instructions and supply all the materials needed to complete your new suspended ceiling! © 2019 Ceiling Tiles UK. Oak farm, Cheltenham, GL51 4XB. All Rights Reserved.